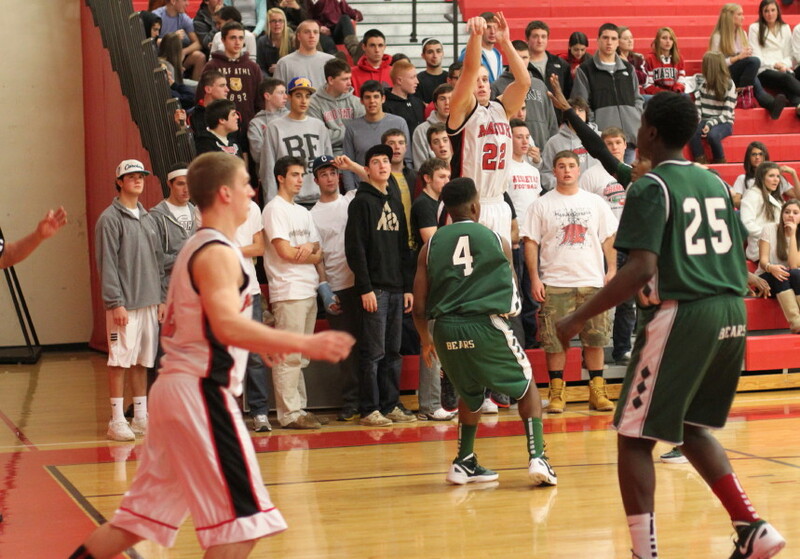 Christian Terrell (16 points) fires a long one. 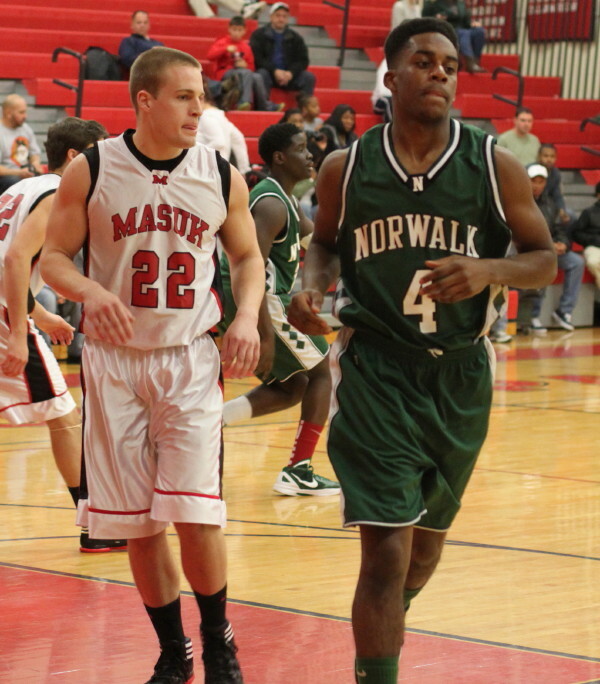 (Monroe) The Norwalk Bears (4-1) ran ten straight points in the third quarter to gain separation from the Masuk Panthers (2-3) and win the Masuk Holiday Tournament, 57-48, on Thursday night at Masuk High School. The outsized Panthers relied on the long ball and stayed in contention trailing just 31-30 with 5:50 left in the third quarter. 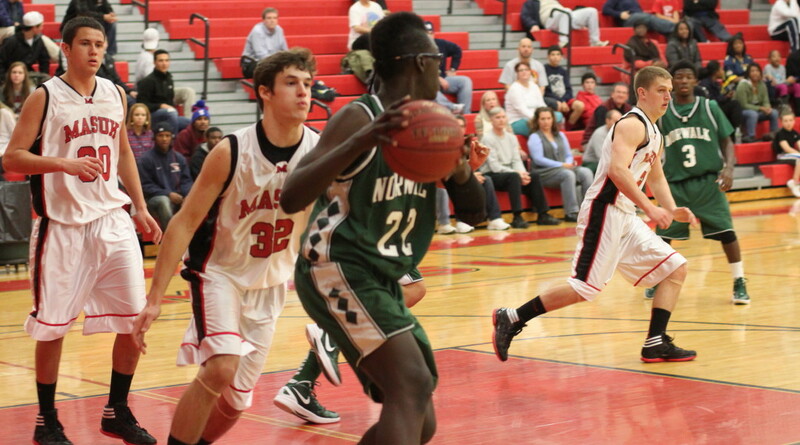 The next 3 ½ minutes the game got away from Masuk. Rasheen Thompson and Roy Kane got in close for baskets (Roy added a free throw) and then tourney MVP Ra’Von Shular hit from long range and then from medium range. That offense-from-everywhere gave the Bears the cushion (41-30) they needed. 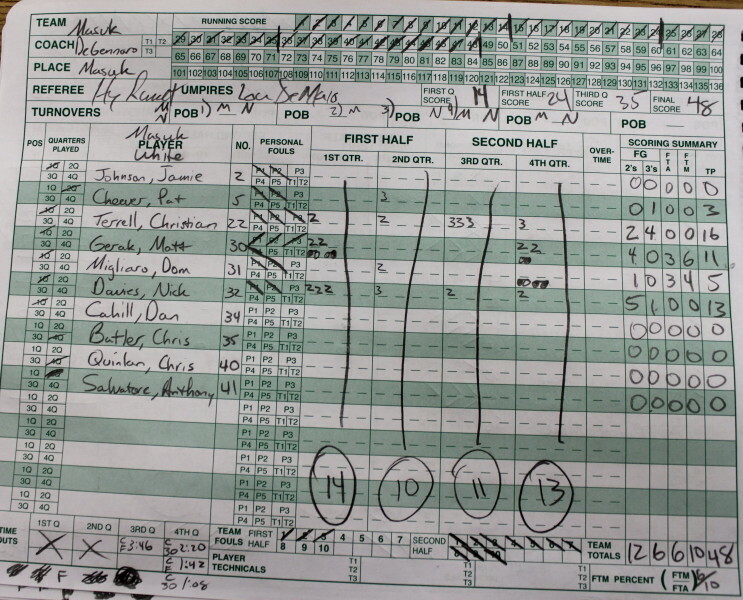 The Panthers outscored Norwalk, 18-16, the rest of the way but could never get closer than eight points. 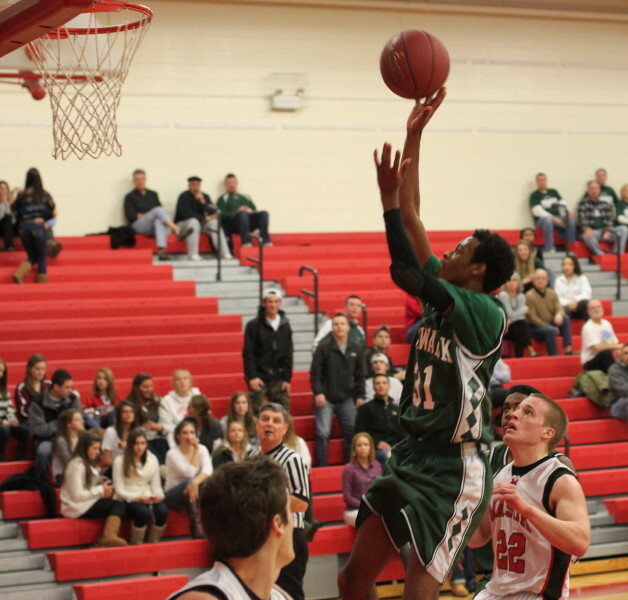 Tourney MVP Ra’Von Shular floats in for two of his fifteen points. 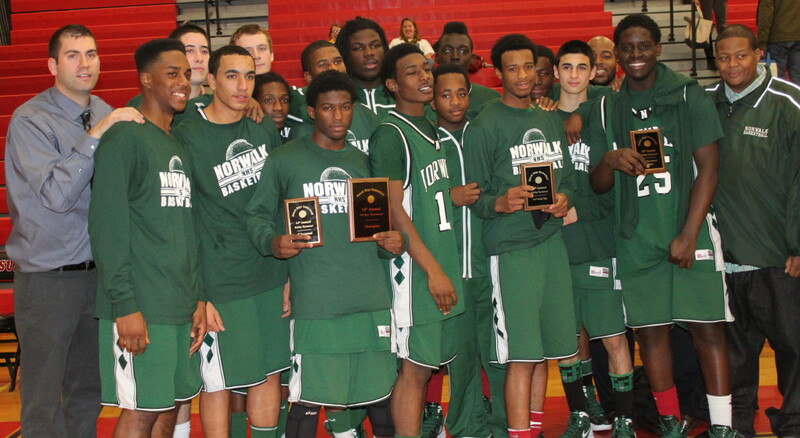 Ra’Von Shular was tourney MVP. 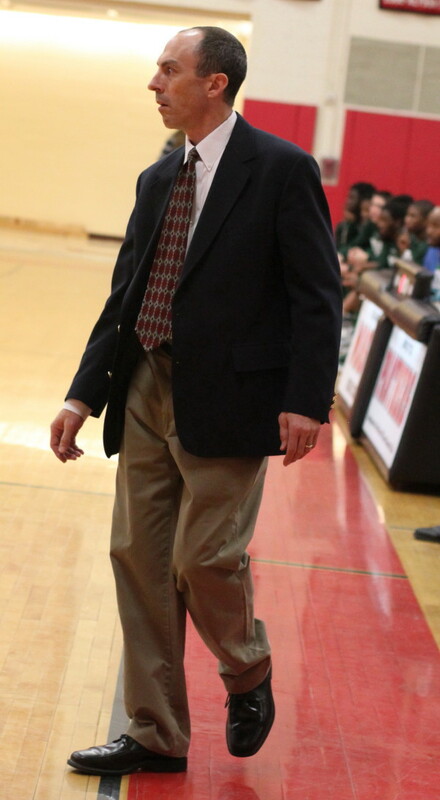 He finished with fifteen points against Masuk. Freshman Roy Kane (6-5) also had fifteen. In my humble opinion, the MVP in this game was Rasheen Thompson (12 points). 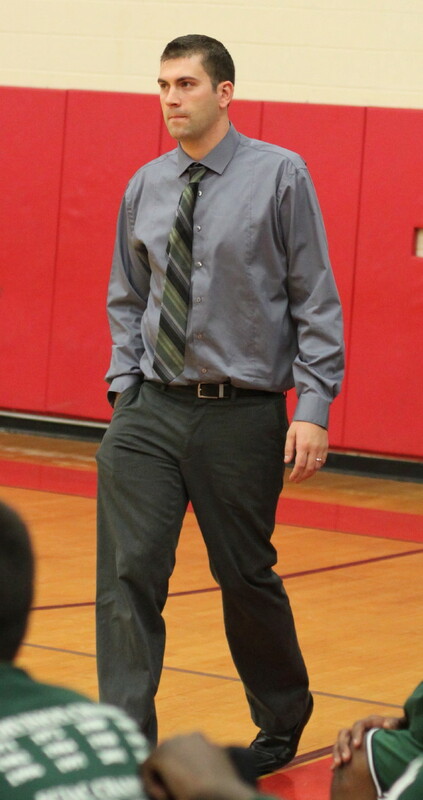 He had five assists (by my count), several steals, and really ran the Norwalk offense. 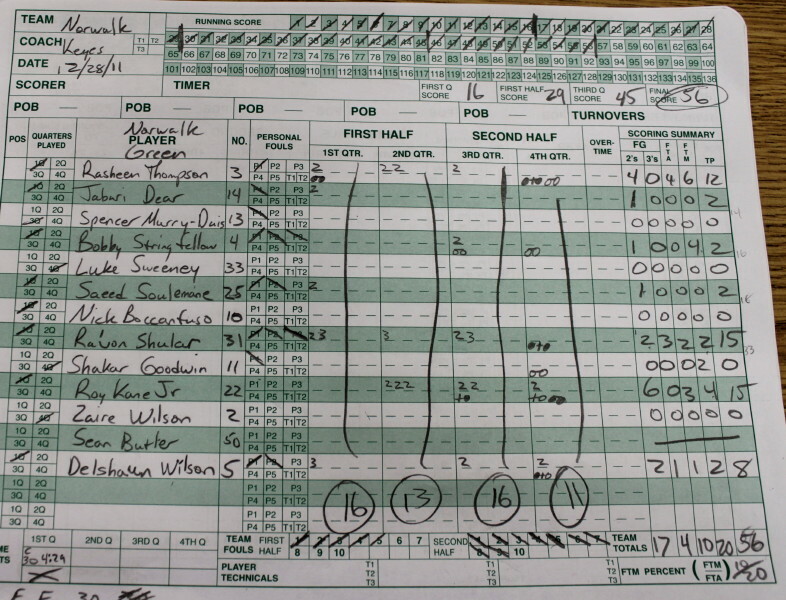 The senior guard did not have any turnovers despite having the ball often against pressure. 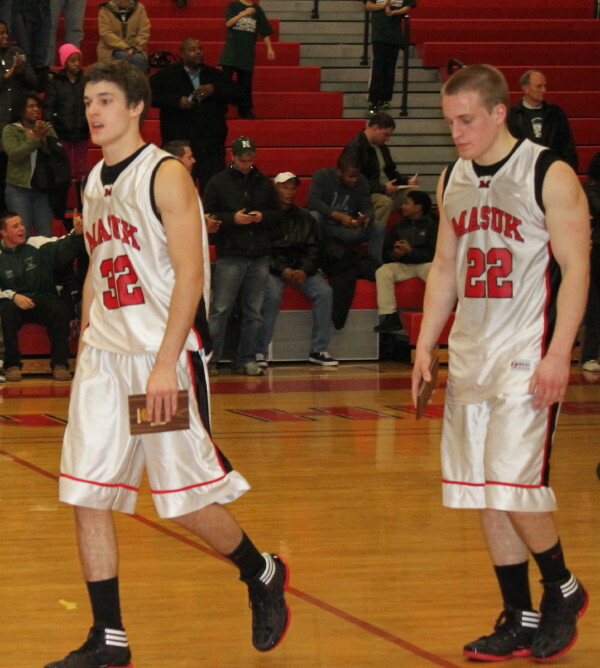 Part of the Masuk struggles came as top scorer Matthew Gerak (22 points in the first round) got into first half foul trouble and seemed to lose the effectiveness he had at the beginning of the game. He made a couple of baskets late to end up with eleven points. 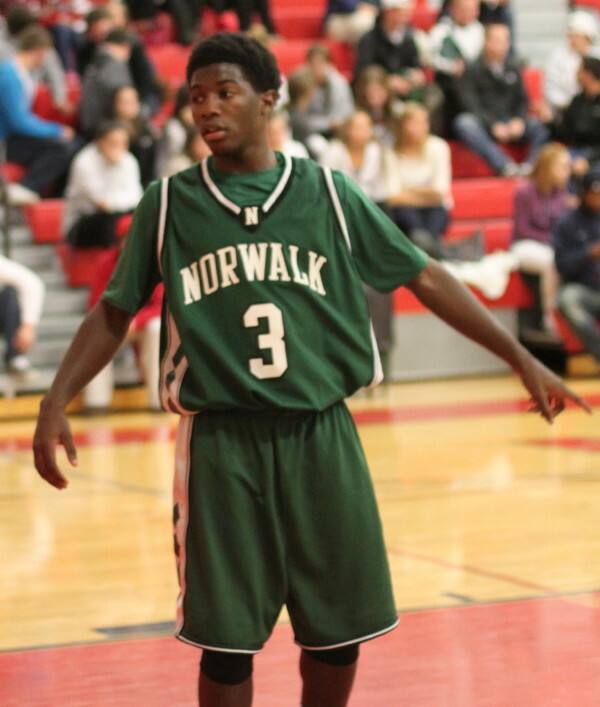 The long-range shooting of Christian Terrell (four 3’s) kept this one interesting until the Norwalk run. Christian (16 points) hit several of the treys from in front of the very appreciative Masuk student section. 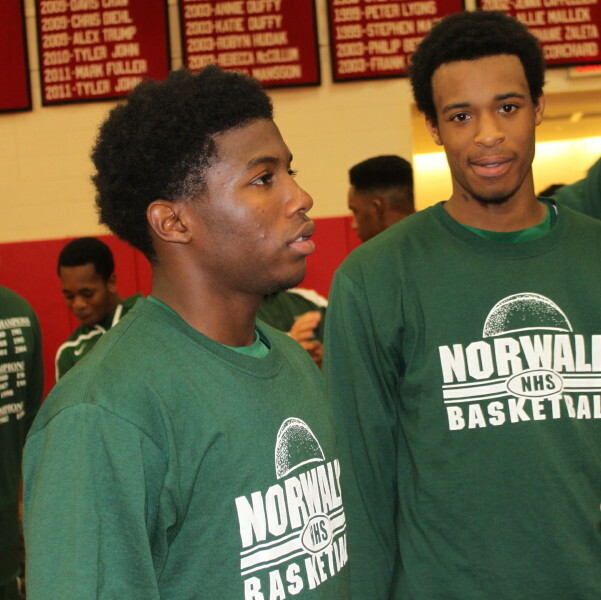 Norwalk’s four wins are as many as they had all last season. They appear headed for a very good season.